Industrial sites and construction sites are among the most dangerous places for workers. With so much going on, and so many moving parts, the potential for injury lurks around every corner. Below is a list of safety principles and practices for employers and employees to follow in order to minimize the risk and prevent worker injuries on hazardous industrial sites. The first step you should take to minimize the risk of mishaps on industrial sites and construction sites is to provide adequate safety training. By giving detailed safety training to all employees, employers can ensure that there are no hidden dangers for employees. Along with training, employees should also know and understand all relevant health and safety policies for the job at hand. Finally, employers must ensure that employees only operate machinery that they are trained to use safely. Improper usage of machinery can quickly lead to severe injuries. Always be sure that workers are wearing the correct protective clothing and equipment on industrial sites. The exact personal protective equipment and clothing (PPE) will naturally vary based on the specific needs of each job assignment. Generally, workers should wear a hard hat, steel-toed boots, a high-visibility visor, and work gloves at all times. Before using any equipment, ensure that it is in proper working order. Adequate maintenance of all industrial and construction equipment, as well as regular inspections, is critical for both safety and the effective functioning of the tools. Improper maintenance, especially of heavy machinery, may lead to malfunctions or equipment breakage, which can injure, trap, or even kill unsuspecting workers. When preparing for work on an industrial site, workers and their employers should minimize the risk of simple accidents from occurring. The most common types of accidents on job sites are small ones that happen every day. Two of the most prevalent types of injury in the workplace are slips and falls. By practicing common sense safety techniques, such as holding on to railings when ascending or descending staircases or placing “wet floor” signs when mopping or cleaning up spills or standing water, you can take a big step in ensuring a safe working environment. Falls are the leading cause of death at industrial sites. By installing fall protection systems, such as guardrails, nets, and canopies, you can help mitigate the risk of death associated with falls. Scaffolding is another excellent way to help reduce the risk of falls. If installed, however, scaffolding must be properly maintained and regularly inspected. Being injured on an industrial site or construction site can cause untold pain and suffering – both physically and mentally. 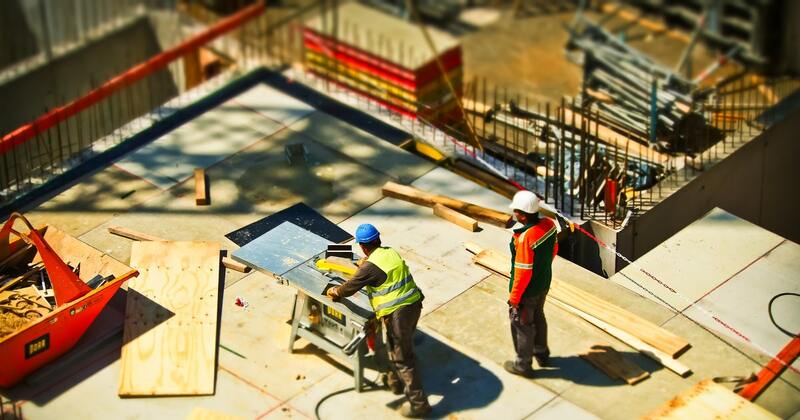 At Rossetti & DeVoto P.C., we’ve successfully represented hundreds of individuals who were the victims of injuries on industrial and construction sites. We work tirelessly for our clients and passionately fight for their rights. If you suffer an accident or injury while working at an industrial job site, give us a call today at 844-263-6260 to speak to a member of our experienced and knowledgeable legal team.